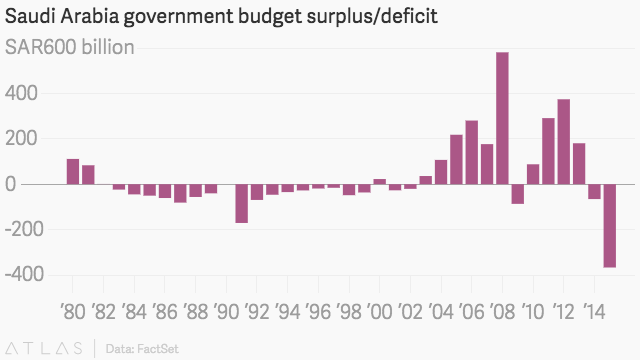 Saudi Arabia’s government finances are running out of gas. Saudi Arabia’s finance ministry projected a record 2015 budget deficit (pdf) of SAR367 billion ($98 billion) this morning (Dec. 28), and it said next year’s might be as big as SAR326 billion. The country, through its leadership position with OPEC, has been battling US shale producers for global oil market share since 2014, most recently deciding to eliminate production limits rather than let up on struggling western oil interests. 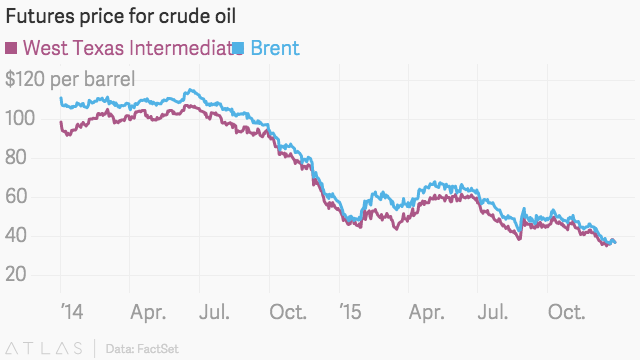 In the process, it has driven oil prices to their lowest levels in more than a decade. 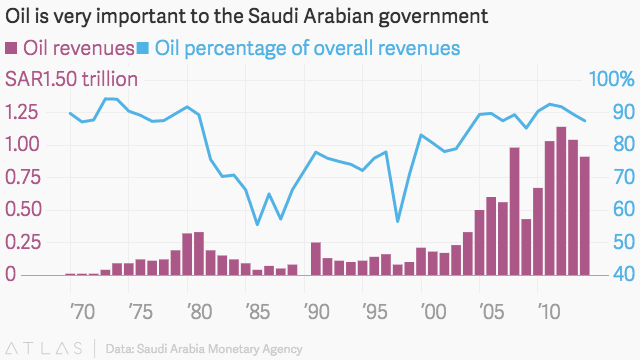 It’s not clear who’s getting hurt more in the long term, since about 90% of Saudi Arabia’s government revenue comes from oil. Standard & Poor’s lowered the country’s credit rating and got an earful for it from the Saudi government. Though Moodys thinks the country’s finances are still solid, the firm has expressed concerns about Saudi Arabia’s ability to maintain its creditworthiness with oil prices this low. 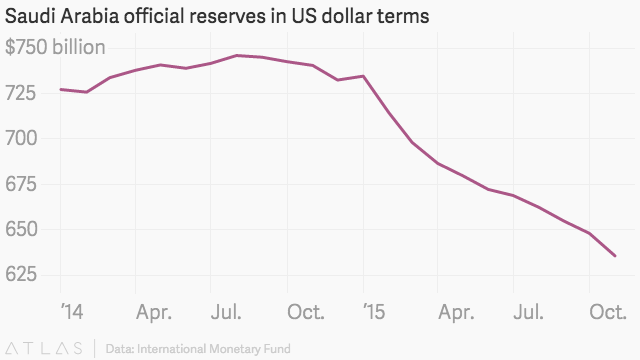 It sold bonds this summer for the first time since 2007 to cope with its growing deficits and the International Monetary Fund says the country’s official reserves have fallen about 13% this year through November to about $636 billion.